Days after a video circulated on social media showing residents of East La Penitence beating a man who robbed one of them of a gold chain, the robber was today charged and remanded to prison for three gun related matters. A badly wounded Treon Douglas had to be seated throughout the court proceeding. He fell twice as he attempted to stand. The 25-year-old appeared before Principal Magistrate Judy Latchman in the Georgetown Magistrates’ Courts. The first charge stated that on October 1, 2018, at Freeman Street, East La Penitence, while being armed with a gun, he robbed David Foster of one gold chain worth $140,000. 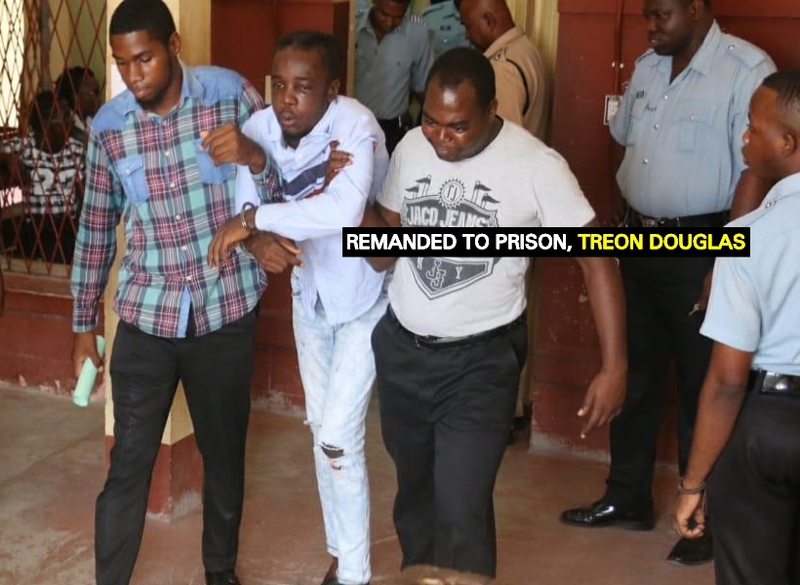 It was further alleged that on the same day and at the same location, Douglas had in his possession 12 live .32 ammunition when he was not a licensed firearm holder. It was further alleged that Douglas had in his possession one .32 revolver when he was not a licensed firearm owner. An unrepresented Douglas was unable to speak clearly. Hence, Magistrate Latchman had to leave her seat and approach the defendant who was seated near the prisoners’ dock. Facts presented by Police Prosecutor, Dinero Jones stated that on October 1,2018, the defendant, who was armed with a gun, approached three men who were at a shop at Freeman Street, East La Penitence, and attempted to relieve them of their valuables. The men immediately retaliated and took away the weapon from Douglas and thereafter inflicted a sound trashing on him. Prosecutor Jones made serious objections to Douglas being released on bail citing the serious nature of the offence and the fact that the defendant was positively identified by the victim. The Prosecutor added that when the police arrived on the scene, they found the ammunition Douglas pants pocket. The Magistrate, after listening to the Prosecutor’s facts, remanded Douglas to prison. He was instructed to make his next court appearance on November 2,2018.